Clara (Bach) Marbach was born in Luxembourg near the border of the district of Bitburg-Prüm, Rhineland-Pfalz, Germany, the daughter of Johannes and Anna Maria (Thiel) Bach.1 She married Mathias Marbach in June of 1835,2 and the couple had six known children in the decade that followed: Anna,3 Catharina,4 Elisabetha (I),5 Elisabetha (II),6 Adamus,7 and Elisabetha (III).8 The family is believed to have resided in the village of Prümzurlay, known for its castle ruins upon sandstone bluffs that overlook its scenic valley. 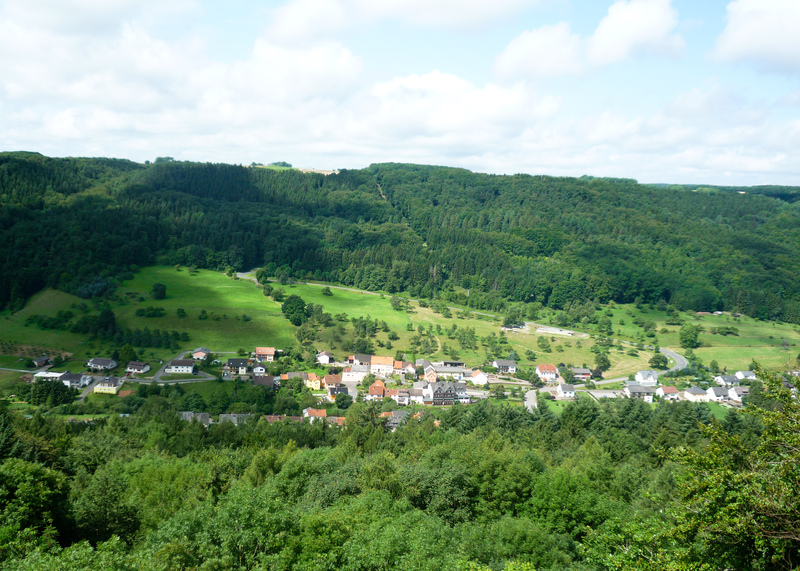 Photograph of Prümzurlay, Rheinland-Pfalz, Germany, as viewed from Prümerburg, 2009; privately held by Melanie Frick, 2017. 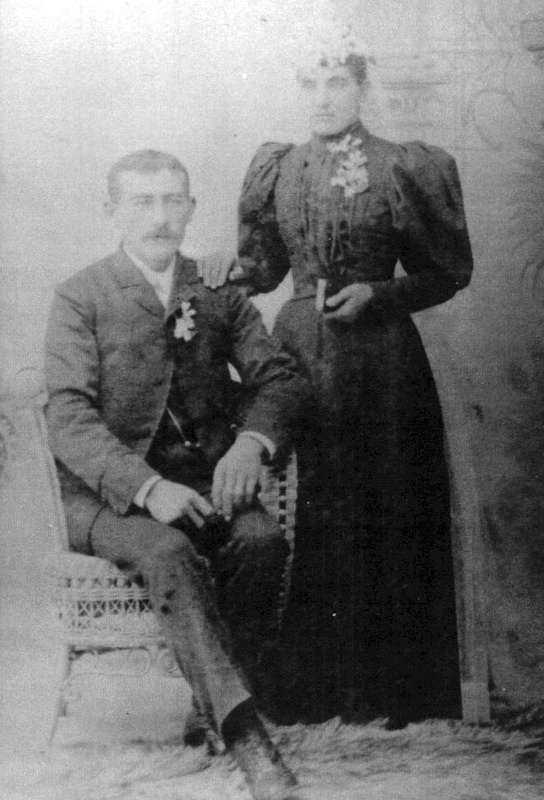 Following the death of her husband, Clara left Germany for America in the company of two of her daughters, Elisabetha (I) and Elisabetha (III), along with their husbands and children.9 A third daughter, Anna, would emigrate twenty years later.10 Clara traveled aboard the Holland and arrived in New York in June of 1871, thirty-four years after she had married.11 She and her daughters made their way to Chicago where they settled near St. Michael’s Catholic Church, located in what is today the heart of Chicago’s Old Town. 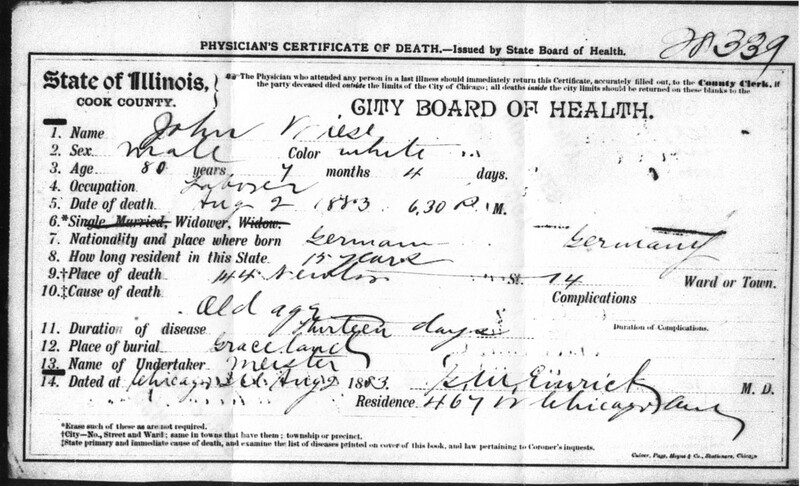 Cook County, Illinois, death certificate no. 66546, Clara Marbach; Cook County Clerk, Chicago. 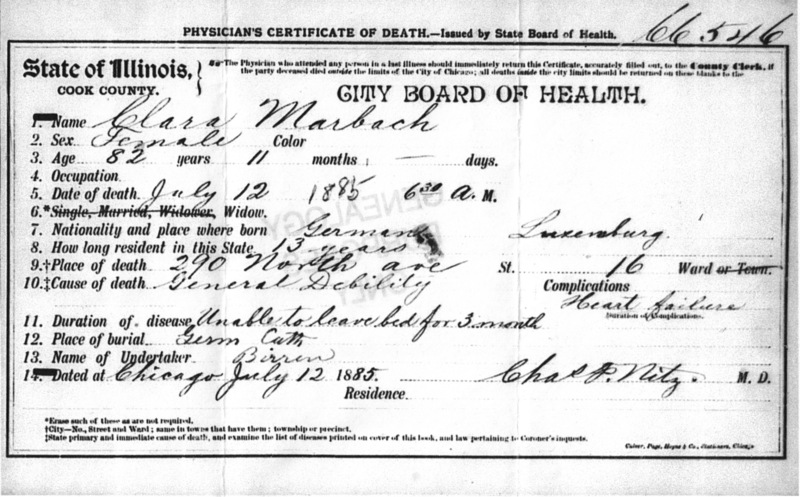 This entry was posted in Uncategorized and tagged 1870s, 1880s, Bach, Chicago, family history, genealogy, Germany, Illinois, immigrants, Marbach on June 26, 2017 by Melanie Frick. Although more and more genealogical records are being digitized and made available online, images of German church books—those faded ledgers filled with seemingly indecipherable old script that record baptisms, marriages, and burials—are often few and far between. 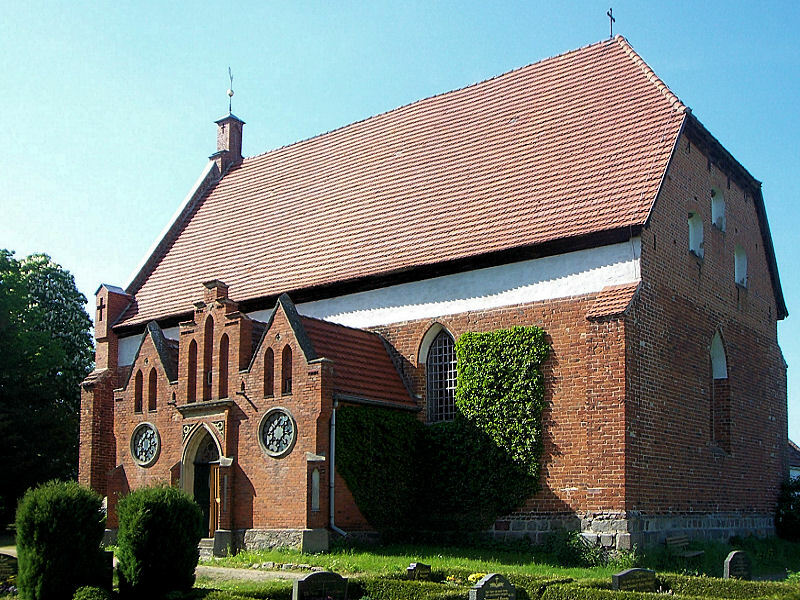 That’s why it was a cause for celebration when I discovered that the scope of Ancestry.com’s “Germany, Lutheran Baptisms, Marriages, and Burials, 1519-1969” encompassed the middle-of-nowhere German communities where a number of my ancestors lived and worshiped in the nineteenth century. 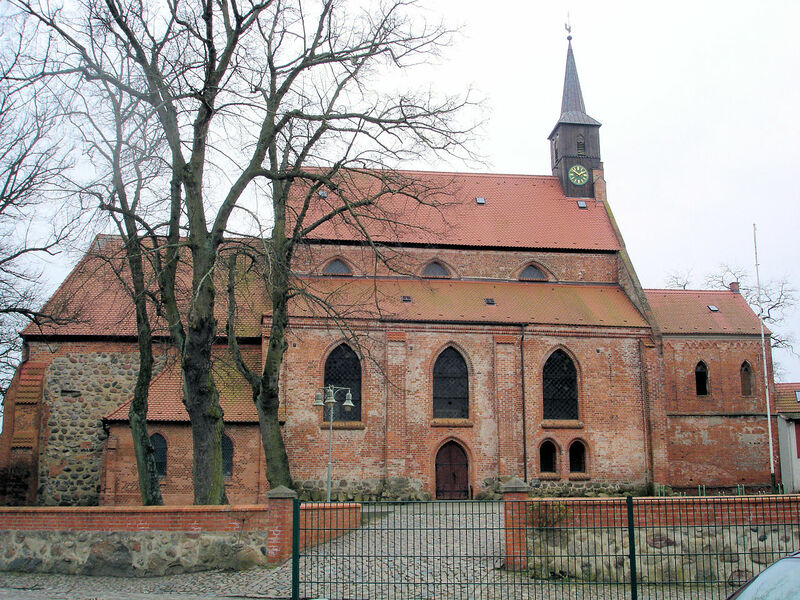 “Dorfkirche in Walkendorf,” 2008, Walkendorf, Rostock, Mecklenburg-Vorpommern, Germany; Wikimedia Commons, copyright Ch. Pagenkopf. 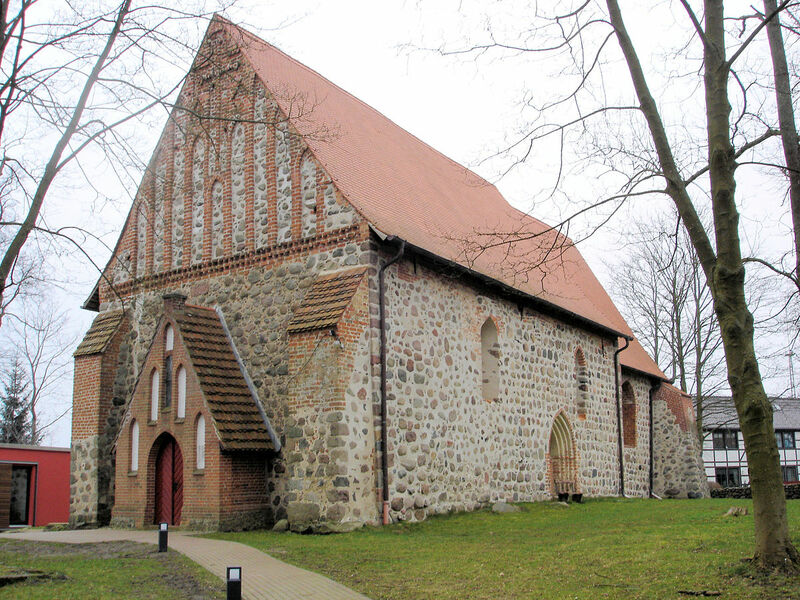 “Kirche in Vilz bei Tessin,” 2008, Vilz, Rostock, Mecklenburg-Vorpommern, Germany; Wikimedia Commons, copyright Schiwago. 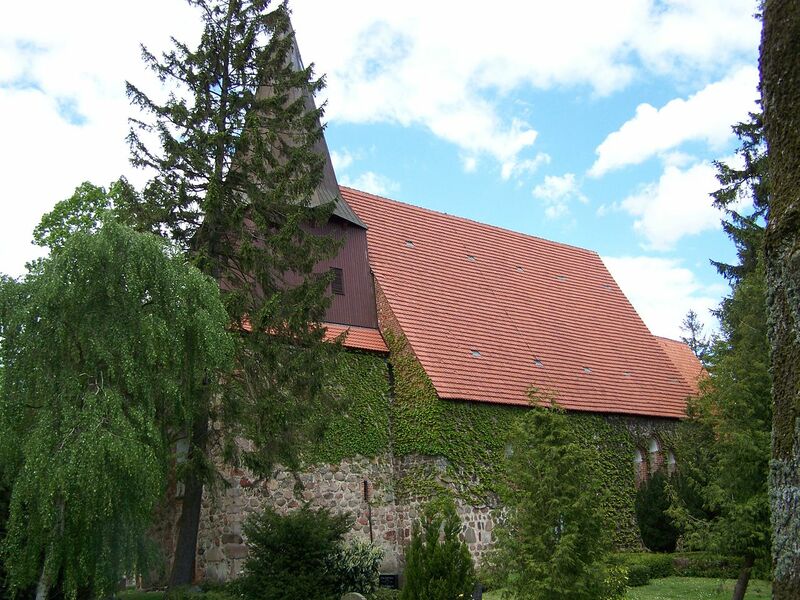 “Stadtkirche St. Johannis in Tessin,” 2008, Tessin, Rostock, Mecklenburg-Vorpommern, Germany; Wikimedia Commons, copyright Schiwago. This entry was posted in Uncategorized and tagged 1860s, Germany, marriage, Mecklenburg-Schwerin, Stübe, wedding, Wegner on April 10, 2017 by Melanie Frick.